Volker is a true virtuoso on the keyboards. Extremely versatile and talented, he has played over the years in a variety of groups ranging from rock, pop to jazz, fusion, experimental to big band swing. 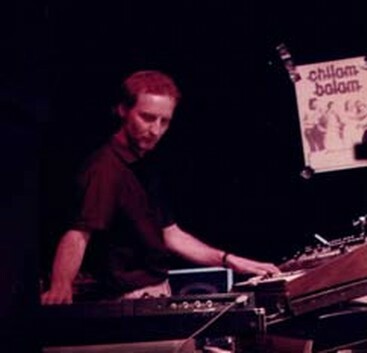 Volker has steadily established his status in the German music scene as a session keyboard player, arranger and producer in the late 80s and 90s. He has toured with many national German and International acts, recorded many released projects and has thousands of hours of stage experience with the German rock poet Rio Reiser, Bandits, Peter Weihe, comedy starr Hape Kerkeling and others. Volker works as a music teacher at Hochschule fuer Musik und Theater in Hamburg. He knows his techniques ... great chops and awesome, with excellent improvisational skills. Daniel has been into music all his life. 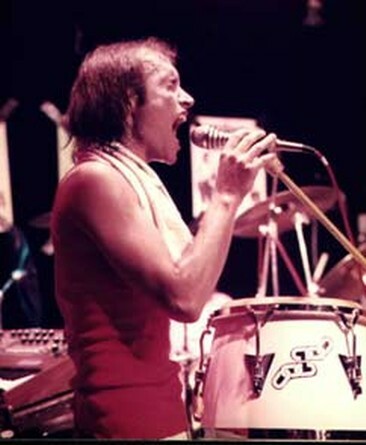 He started his career playing the drums, guitar, and harmonica in his early teens, and in 1969 he decided to pursue his love of singing with the Argentine band Los Mentales. At that time he was one of the pioneers of "Rock Nacional", the first rock music movement, worldwide, using Spanish lyrics. He developed his personal "raw power" and strong stage presence performing with bands such as Zorro, Chilam Balam, Camalote and his own Ensemble with musicians from Cuba, Brasil and Germany. In 1997 he releases his first solo album "Taking Care of The Memory" (Aliado LC3796) which consists of 5 songs featuring Daniel's emotive singing and 2 pieces which display his unique gift for rhythm and melody, and in 2010 "Sueños Peligrosos“ (Dangerous Dreams) Mulatina records LC12491 a colourful floating album full of Latin phantasies and it displays with great clarity the exceptional musical skills of the singer, percussionist and drummer that is Daniel Irigoyen. And in 2018 "Circunstancias Terrenales" (Irdische Umstnde) AliadaLuz Records ALR 7788. Today Daniel continues to perform as a drummer and percussionist , and is working on his next solo publication as singer, songwriter, drummer and percussionist. As a talented singer and gifted composer and percussionist Daniel is truly the "Soul" of Chilam Balam. Goetz Steeger is the best known member of Chilam Balam. He was the original founder and member of the famous underground German Rock Group Goetzen and has diverse talents as a vocalist as well as established guitarrist, keyboarder and songwriter. He plays the drums with the rock band Anyone's Daughter, Peter Holler & Hamburg City Rockband and works as a composer, songwriter, and guitarrist with todays underground trio Rotes Haus. 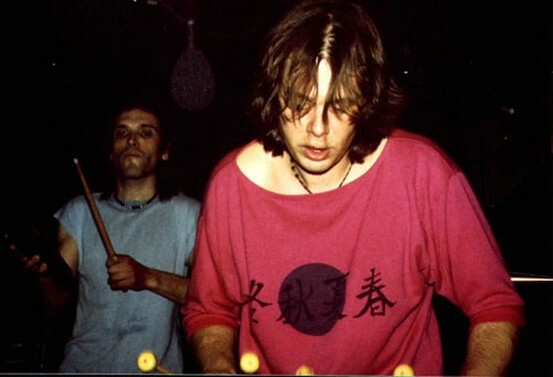 As a virtuoso Marimba and Vibes player he was a member of the German Jazz Formation Thyl in the early 80s (New Jazz between Pat Metheny and Double Imagen). Goetz has earned a reputation as both, a gifted multi-instrumentalist and a sucessful teacher. No doubt the reason for his exceptional versatility. He has presented numerous workshops, teaches private lessons and participates in various art classes in education programs. He is a musician with rock-solid ability and great musical imagination. Goetz comes to Chilam Balam with a wealth of experience gained by playing the club circuit for years on end. Goetz is an outstanding musician who is equally at home in solo and ensemble situations. He has extensive performing and recording experience. 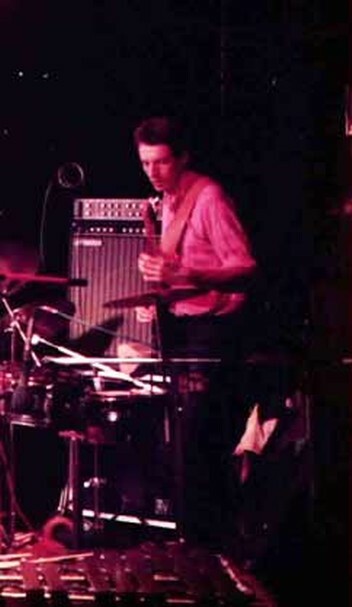 Michael Heyer, known as the bass player and co-producer, recorded and toured with Thyl together with Goetz Steeger. He has been a professional musician since the age of 18. A veteran with national German touring experience. Currently Michael is putting together a recording studio and plans to pursue new musical ventures.